We are happy to work with pole building buyers and walk you through the decisions and process to buy your next pole building. We will provide a price quote for your building, deliver all of the materials, and assign a partner or independent contractor to construct your building. Let us handle all of the business processes so that you can solely focus on constructing Pole Buildings. 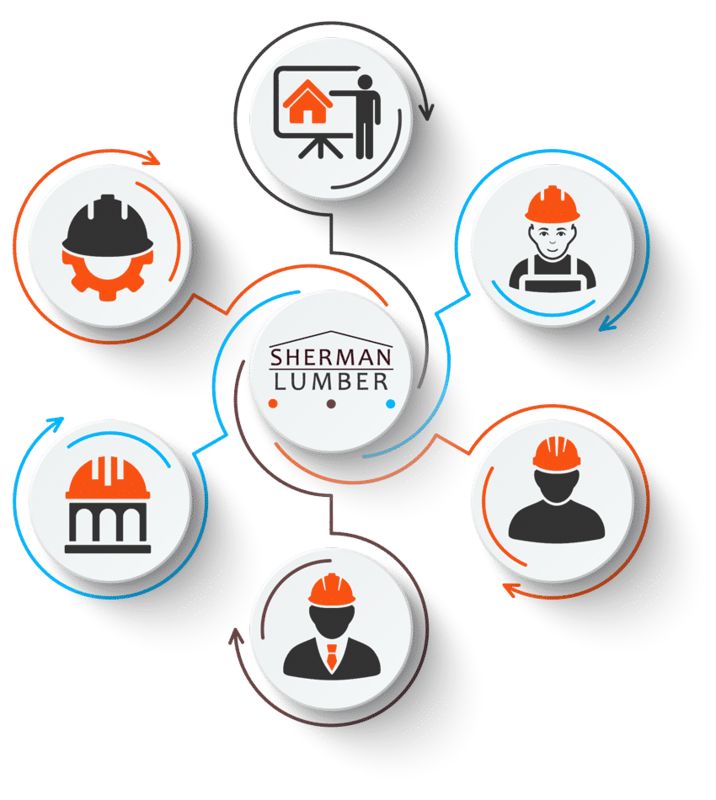 If you have experience with pole buildings or would like assistance breaking into the industry, contact Sherman Lumber and let's start talking today. You have your own business selling & constructing pole buildings. You are looking for a quality material supplier at a great price. You'd like to eliminate the hassle of producing price quotes and material lists. You will find none better than Sherman Lumber. We look forward to being a great support system and working with you! If you are an exceptional craftsman in pole building construction and looking for a reputable partner, take your operation to the next level and leverage our expertise from over 40 years of pole building construction. We invite you to inquire about our dealership opportunities. We make packaging and selling pole building materials easy for general lumberyards and similar construction resellers. You get access, training, and support with fast & thorough bidding tools. You get a customized product mix meaning you can sell any portion of your own materials, as well as custom external material suppliers. Let's talk about how we can co-operate. We are significant buyers of Steel, Posts, Trusses, Lumber, Equipment, Windows, Doors of all varieties, and hardware. Sherman Lumber is growing and looking for vendors across the United States.